These Terms and Conditions (“the Terms and Conditions”) govern your use as “the User” of the Purple Gypsy (“Provider”) website located at the domain name www.Purple Gypsy.co.za (“the Website”). Information you need to know before purchasing our Engraving service. Font Options – you can request a special font and we will see if we can accommodate it, there is no harm in asking. Our studio is based in Klerksdorp South Africa, and Hamburg Germany. We work by appointment only and are available for consultations. As we are a small studio, and do not keep stock. All our items are made exclusively on order. Therefore, if there is something specific you would like, it is better to place your order online. Once your order is ready, we will let you know and you can come and collect from us or we can ship the item to you. If you live near our studio in Klerksdorp, you are welcome to collect it once we inform you that our order is ready. Please allow 4 – 6 weeks for processing and manufacturing, as we make all products to order, and an additional 3 to 4 days for shipping time (nationally) if your order is being shipped. Once your parcel has been sent you will receive an email/sms with the tracking number. The cost for international parcels varies and will have to be quoted. All international payments are to be made via EFT. All images are shown different on different monitors so do allow for colour differences that may occur, but we promise the item in person is always better than in a photo. Our jewellery is made from 925 sterling silver. Sterling silver in SA is 92.5% silver and 7.5% copper. Metals naturally develop a surface patina over time, caused by oxygen, perfumes and skin acidity. Some people also have more acidic skin than others, and therefore the oxidation can occur at a more rapid pace. Silver jewellery will also develop a patina if it is not worn regularly. To clear tarnish just use a strong solution of warm water and sunlight dishwashing liquid to clean the tarnish. All our pieces are made to be functional, but like all jewellery care must be taken when wearing them. We will repair any items for free within 3 months of purchase, if the repair needed is due to a manufacturing fault. If a repair is needed for a customer based outside of Klerkdorp, the customer will be liable for all courier costs. *Please note, if we are given the wrong ring size, we cannot be held accountable. Our Rings are made with moulds, so make sure about your size. We recommend having you ring size measured at your local jewellery store since this is the most accurate measurement. We generally work with 45 length chains. Should you wish to have a longer or shorter chain then we will quote accordingly. Our bracelets come in average sizes – 19cm for women and 21cm for men. If you need a larger or smaller bracelet, then please specify in our “order notes” box, on the checkout page, when placing your order. We do manufacture engagement rings and wedding bands. We take on private commissions in silver, gold and platinum. We have the right to say deny any commission order for whatever reason. Prices may change due to the fluctuations in the precious metal and stone market. Quotations and pro-rata invoices is valid for 7 days. We reserve the right to adjust our prices at any time. Products returned or exchanged must be unused, unworn, and undamaged. We shall have no obligation to accept any products that we receive after the expiration of the applicable return period (7 days after receipt of your parcel). Please be aware that any purchases made with store credits are processed as a new order and standard postage costs and delivery times will apply. You are responsible for postage costs of returning the item. We recommend using registered mail or Postnet to return items, as we are not liable for any items lost in the post. Purple Gypsy accepts payment EFT (Electronic Funds Transfer), or Cash deposit directly into the bank account (Cash deposits may have a cash handling fee). Please note that we cannot allocate your payment if you do not use the invoice number as reference of the payment. We will not take responsibility for the delay in order if the payment is allocated at a later time. All references to “you” and “your” are deemed to refer to any user and/or visitor of www.purplegypsy.co.za (“Website”). 2.1.You may only use the Website if you are 18 years of age or older. If you are under 18, you may use the Website only with the involvement of your parent or legal guardian. 2.2.You agree that you will not use any device, software or other instrument to interfere or attempt to interfere with the proper working of this Website. In addition, you agree that you will not use any robot, spider, other automatic device, or manual process to monitor, copy, distribute or modify the Website or the information contained herein, without the prior written consent from an authorised Company or Spark Consulting representative (such consent is deemed given for standard search engine technology employed by Internet search websites to direct Internet users to this Website). 2.3.You may not use the Website to distribute material which is defamatory, offensive, contains or amounts to hate speech or is otherwise unlawful. 3.1.The contents of this Website, including any information, software, icons, text, graphics, layouts, images, sound clips, trade names, logos, trade marks and service marks are protected by law, including but not limited to copyright and trade mark law, and are owned by or licensed to the Group. 3.2.No license to or right in any of such contents is granted to or conferred upon you. Any unauthorised use, distribution or reproduction of the said contents is prohibited. 4.1.Any person who accesses this Website or relies on this Website or on the information contained in this Website does so at his or her own risk. 4.2.While the Group takes reasonable measures to ensure that the contents of this Website are accurate and complete, the Group makes no representations or warranties, whether express or implied, as to the quality, timeliness, operation, integrity, availability or functionality of this Website or as to the accuracy, completeness or reliability of any information on this Website. 4.3.All information provided on this website is provided “as is” without warranty of any kind, either express or implied, including, but not limited to, fitness for a particular purpose, completeness, or non-infringement, as may be allowed in law. 4.4.The Group does not accept any responsibility for any errors or omissions on this Website. 4.5.In addition to the disclaimers contained elsewhere in these Terms and Conditions, the Group also makes no warranty or representation, whether express or implied, that the information or files available on this Website are free of viruses, spyware, malware, trojans, destructive materials or any other data or code which is able to corrupt, destroy, compromise or jeopardise the operation, stability, security functionality or content of your computer system, computer network, hardware or software in any way. CONTAINED IN, OR INABILITY TO USE, AND/OR UNLAWFUL ACTIVITY ON, THE WEBSITE AND/OR ANY LINKED THIRD PARTY WEBSITE. 1.1.These Terms and Conditions of Sale govern the sale of products (“Goods”) by the Group to you via the Website. The Terms and Conditions of Sale are in addition to the terms and conditions of use of the Website, which can be viewed at Terms & Conditions. 1.2.Once you tick the box labelled “I accept”, these Terms and Conditions of Sale form alegally-binding agreement between you and the Group. We will confirm all your purchase orders with you via email. 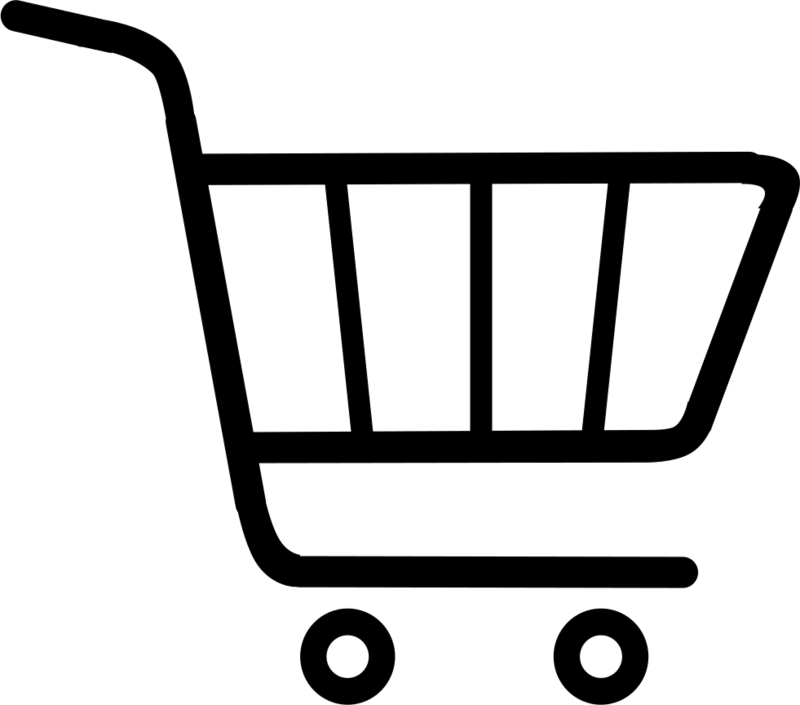 2.1.3.and as such, the Group may remove such product from the shopping basket or wish list if stock becomes unavailable and you cannot hold the Group liable if such product is not available when the purchase cycle is completed at a later stage. 3.1.The Group reserves the right, for purposes of preventing suspected fraud , to refuse to accept or process payment on any order, and/or to cancel any sale concluded between you and The Group, in whole or in part, on notice to you. The Group shall only be liable to refund monies already paid by you (see clause 7 for the Group Refund Policy in this regard), and accepts no other liability which may arise as a result of such refusal to process any order/sale. 5.1. Payment for Goods can be made via the payment methods provided by our authorised payment solution providers PayFast (Reg. No. 2007/011558/07) These will be subject to the Payfast end user terms and conditions are available here:https://www.payfast.co.za/c/std/end-user-agreement. –you will receive a refund to the full/partial value of the purchase price within 30 days of receipt of returned Goods by Purple Gypsy. –you will have to bear the shipping cost of the return. 8.1 You have 7 days from completion of order in which to return your item. 8.2.3 To be eligible for a return, your item must be unused and in the same condition that you received it. It must also be in the original packaging. Please note: earrings and specials are exempt from being returned due to health and range issues. Any item not in its original condition, is damaged or missing parts for reasons not due to our error, or any item that is returned more than 7 days after delivery will not be accepted. Personalised items are not eligible for returns, unless there is a major error in the manufacturing. If you are approved, then your refund will be processed within 30 days, and a credit will automatically be applied to your credit card or original method of payment, within a certain amount of days. 8.3 You can return your parcel using any postal or courier service. 8.4 Please note – you’ll need to cover the postage costs yourself. 8.5 The parcel remains your responsibility until it arrives with us – remember to ask for proof of postage, so if you parcel goes missing in the mail, you’ll have proof you’ve sent it. 8.6 Purple Gypsy accepts no responsibility for any returned item that is damaged or goes missing during a postal or courier return. 8.7 Once we have received it and checked the return, we will be in touch about your refund. 9.1. If any party (“Defaulting Party”) breaches any of these terms and conditions and fails to remedy such breach within 7(seven) days of receipt of notice to remedy the breach, the aggrieved party shall be entitled to claim specific performance or to cancel this agreement forthwith upon written notice to the defaulting party, in either case without prejudice to its right to recover such damages as it may have suffered as a result of the Defaulting Party’s breach. 11.1. You may not cede, assign or otherwise transfer your rights and obligations in terms of these terms and conditions of sale to any third party. 11.2. Any failure on the part of you or the Group to enforce any right in terms hereof shall not constitute a waiver of that right. 11.3. If any term or condition contained herein is declared invalid, the remaining terms and conditions will remain in full force and effect. 11.4. No variation, addition, deletion, or agreed cancellation of these terms and conditions will be of any force or effect unless in writing and accepted by or on behalf of the parties hereto. 11.5. No indulgence, extension of time, relaxation or latitude which any party (“the grantor”) may show grant or allow to the other (“the grantee”) shall constitute a waiver by the grantor of any of the grantor’s rights and the grantor shall not thereby be prejudiced or stopped from exercising any of its rights against the grantee which may have arisen in the past or which might arise in the future.